The year 2017 has a lot of new themes to offer, be it a lifestyle blog WordPress theme or any other kind of website template, this year has a ton of things to offer to you. There is no need to look far as well because we have prepared some of them here. We have 30 of the best WordPress themes that you can use for 2017 and all of them will certainly amaze you. They are jam-packed with various features that will not only capture your attention but would definitely captivate you, to the point of wanting them to be used on your site. JohnnyGo is an efficient home services WordPress theme. Since it is in the home services business, it is only natural that it has more than one amenities to offer. You could say that it is one of the many multipurpose WordPress themes in the market. It is equipped with many features, such as having a fully responsive design, which means it can be used by a wide range of devices, has over 35 widgets to help you customize the page, it is SEO-friendly (short for Search Engine Optimization), allowing it to be very searchable by anyone using Google, Bing, Yahoo, and more. 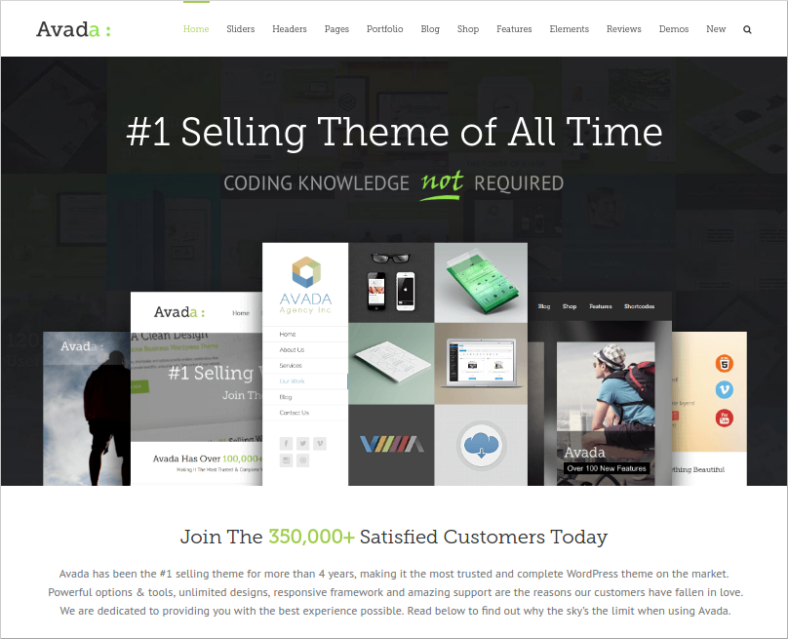 Avada is one of the many best-selling themes in WordPress and it is no question why. The template is filled to the brim with amazing features that truly make the experience of building a theme worthwhile. It is built with the CSS3 and HTML5, giving the theme a competitive speed against other templates. You can open the theme using the most common browsers such as Chrome, Firefox, and from Internet Explorer 9 to 11. It has a built-in retina-ready capability as well, allowing it to adjust itself to fit into any screen size without losing its high-quality resolution. 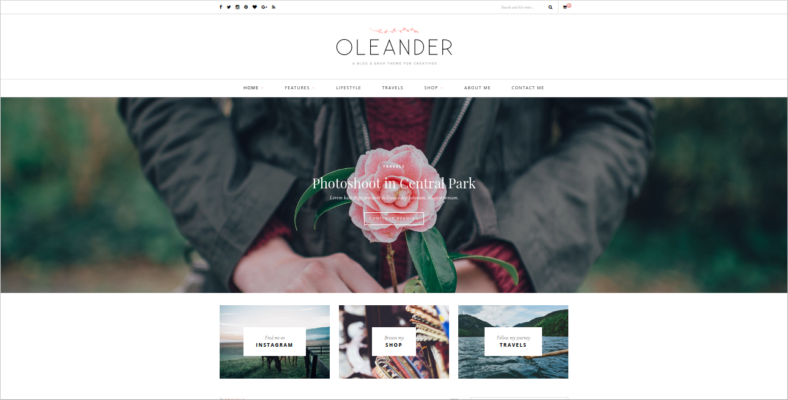 Oleander is a blog and shop template, pretty similar to a sweet shop WordPress. The design is responsive and can be viewed on different devices, be it a tablet, mobile, or desktop. Of course, since it is focused on being a shop, it is indeed WooCommerce compatible. It supports various post formats, like gallery posts, standard posts, music and video posts. You get to choose from 5 blog layouts: List layout, Grid layout, Classic Blog layout, 1st Full Post then List layout, and 1st Full Post then Grid layout. It also works with WordPress 4.4 versions and above. Moober is a great theme and it helps you make those amazing business plans of yours come true. It is jam-packed with amazing features like running on the SMT Framework 2.0, a framework made by SMT that lets you design your site in a subtle, yet effective way. The theme is slider ready and is capable of providing you with the best kinds of sliders available for use. If you happen to have a couple of related posts, which is quite common, the theme lets you use its multicolor capability and organize them accordingly. The best part is that this brilliant theme is a free template for WordPress. If you are into simple designs, then you definitely wouldn’t want to miss out on Daisy. This is a minimal WordPress theme, designed for those who prefer a straightforward approach with their sites. The template is 100% with WordPress versions 4.1, up until 4.8. You wouldn’t have to worry about including videos as well because the theme has a couple of short video tutorials for everyone. It offers multiple blog layouts, extended box styles like three and four columns, 5 header styles, an easy font customizer, which has more than 600 Google fonts in its arsenal, and much more. 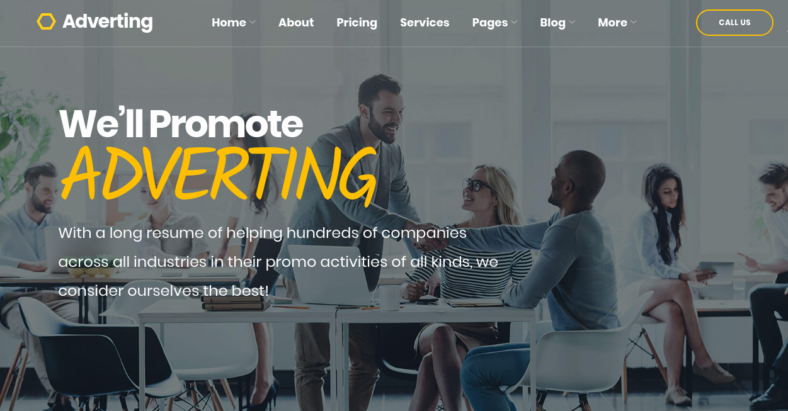 Considering the fact that it was designed to specifically become a digital advertising site, it is safe to say that Adverting is definitely made for those who are aiming to create advertising agency WordPress templates for their clients. It has a drag-and-drop page builder, making the whole process of editing easier and simpler, not to mention quicker. Users could choose from multiple layout options as well, giving them an additional freedom to edit the theme as they see fit. The codes and built-in designs have also been carefully crafted, making sure everything runs smoothly and corresponds to the latest Web design trends. The 7 is one of the most efficient responsive WordPress themes that is out on the market today. Everything has been almost made to respond to your needs, even the installation of pre-made sites and plugins have been automated. 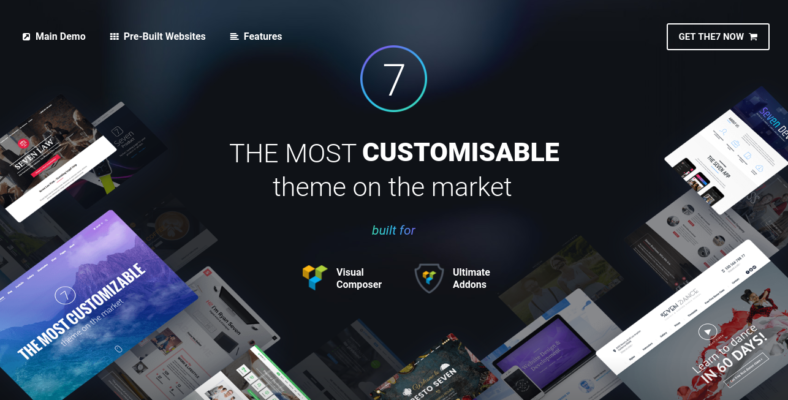 It is one of the themes that has the most number of theme options, more than 750 to choose from, giving you a huge amount of freedom to design the template to your liking. You also have an unlimited number of header layout combinations, both for mobile and desktop devices, which further enhances your capability to customize the theme as you see fit. 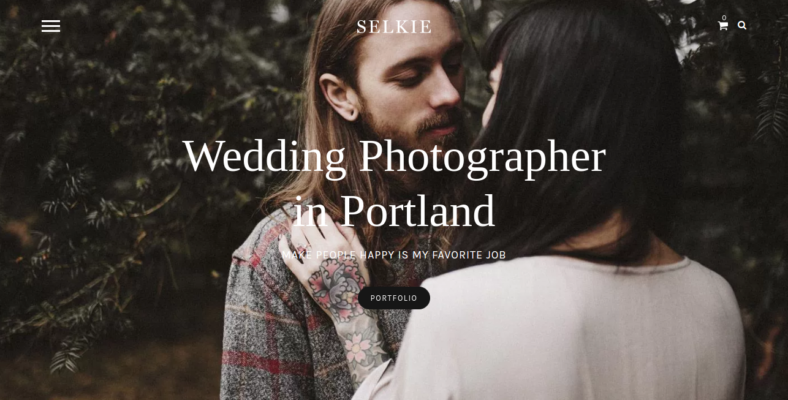 Selkie is a theme that was designed for photography bloggers who use WordPress as their means of sharing their craft. It is a photography WordPress template but at the same time, it is also more than just that. You see, Selkie is WooCommerce compatible, which means you can use the site to make a profit from your photos. In fact, it is often used by wedding photographers, due to its features like a Parallax header image, Visual Composer, Theme Options, and more. You have 4 different types of post formats to choose from namely Video, Music, Standard, and Gallery posts. Building your own website, especially if it is the kind of Web page that focuses on fashion or photography, requires your artistic guile. This is the reason why Arizona, an awesome creative theme, was created to help individuals make create their own websites with as much creativity as possible. The theme has a dynamic content loader, which lessens your site’s loading time, which also minimizes the rate of frustration from your visitors when they constantly see that spinning icon. It has SEO optimization as well, making your site more searchable, and Antispam without Captcha, effectively blocking unsolicited ads, emails, or spams. 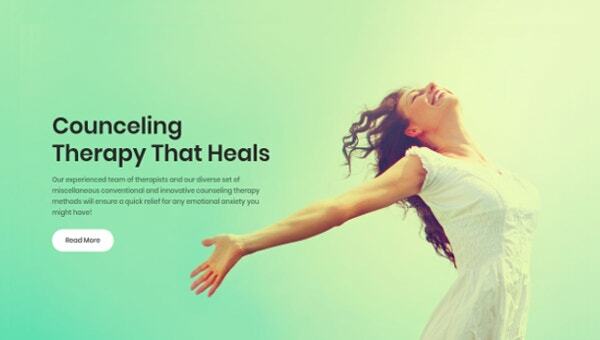 Frejya is one of the many WordPress personal blog themes that you can find in the market. It has a total of three demos, the last being an eCommerce demo, and that is solely made for presentation purposes only. There are 5 blog layouts one could choose from, a total of 8 header layouts, and a featured slider. The plugins available for this theme are Contact Form 7, advanced custom fields repeater, WordPress Instagram Widget, advanced custom fields gallery, and advanced custom fields. It can support plugins like WPML (short for WordPress Multilingual Plugin), WooCommerce, Yummly Recipes, and Yoast SEO Plugin. There are a lot of hotel WordPress templates that have been offered by the market. However, there are only a select few that users could consider being an excellent one. SKT Accommodation, or simply Accommodation, is one of the select few and you will soon find out why. Its font base is Google fonts and has over 800 fonts that you could use to personalize the contents of your site. You won’t have to worry about standard pages like archives, 404, and blog because the theme has already set it up. It also runs using the latest innovations of CSS3 and HTML5. 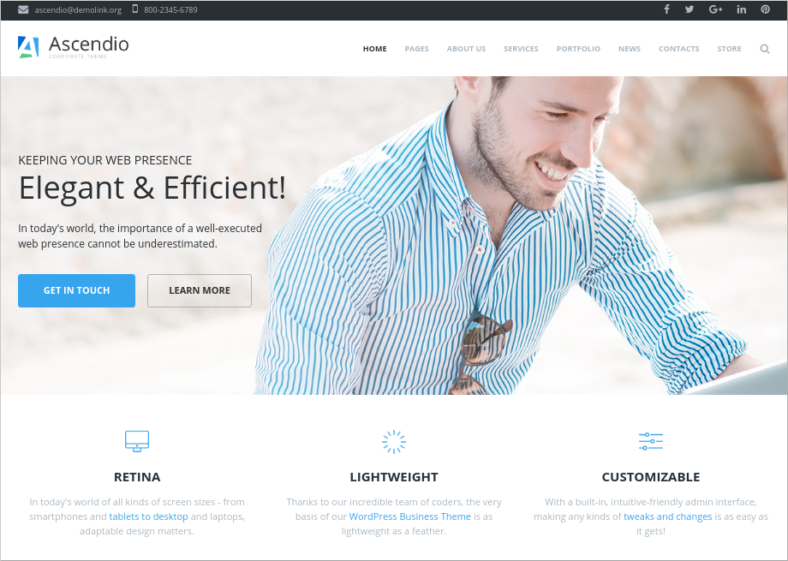 There are a lot of free business themes out there, but if you are looking for an efficient one, then Ascendio is the one for you. The template in question is a corporate and business theme, specifically designed for WordPress users. It has Elementor, an innovative drag-and-drop front-end page builder that requires no coding. 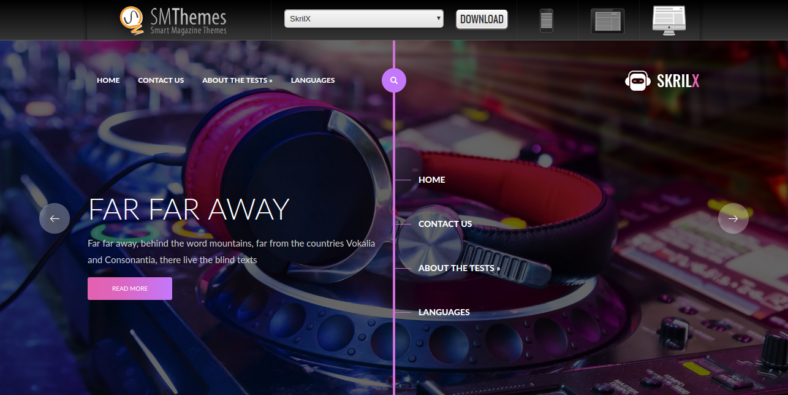 You get to choose from a wide variety of footer and header layouts, letting you personalize your theme to the fullest. The live customizer will definitely mesmerize you because it allows you to create real-time, saving you time and lessening the hassle you have to go through. BeTheme is quite different from the other themes we have. The features that it has makes it quite unique and stand out from every other template here. Although it has a couple of features that are quite similar to other themes, things like having a language translation capability, making it one of the numerous multilingual WordPress theme out there. It has Contact Form 7 as well, which is commonly found in a lot of website templates. However, the theme in question excels in a different category and that is on the number of pre-built websites it carries. It has over 270 of them, which is truly astonishing. Charity sites are one of the most commonly created pages all around the world. If you are looking for a template that can provide you with everything you need, then Charitas is the one that suits you best. The template comes with a clean and simple design, but this does not hinder the functionalities of a professional theme, designed for WordPress. Some of its features include a responsive design, Child Theme, multilingual capabilities, unlimited color schemes and a support team that is dedicated to providing assistance and help. It also has advanced theme options, giving you the chance to edit the theme more. Music is a powerful thing and it manages to connect people from all around the world. If you plan on making a website that is solely dedicated to music, then you would definitely need a reliable and capable theme to aid you. SkrilX lets you design your own site in only a matter of minutes, without having to use a single code. This WordPress music template is Ecwid supported, which is a valuable component in eCommerce, as it takes the form of a shopping cart and smoothly integrates with personal pages, blogs, or other websites. It also has Google Maps integrated into its coding and is compatible with the latest versions of WordPress. 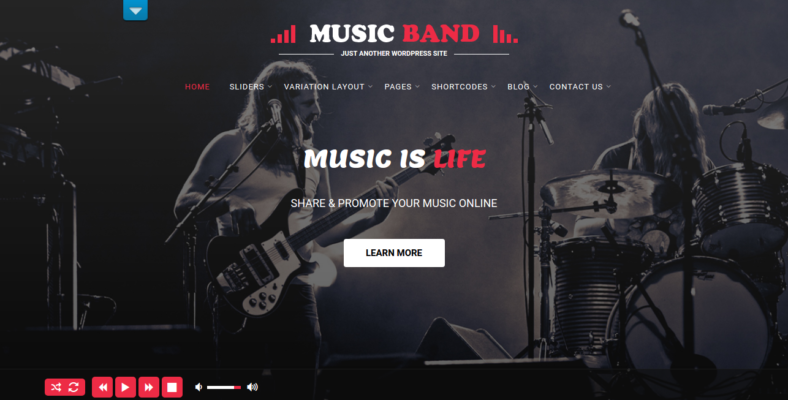 Music Band is a music WordPress theme that mainly contains a band’s or a music artist’s biography, latest releases, tours, and much more. The theme’s coding has been excellently done and it is being maintained as well. The template has a color-changing scheme as well, which means you can set up color pickers and change every element of the colors. Another important feature is that this theme is responsive to any device, tablets, mobile phones, and desktop computers. The sliders it has are cyclone slider 2, master slider, meta slider, accordion slider, and crelly slider. It has a built-in music player as well. 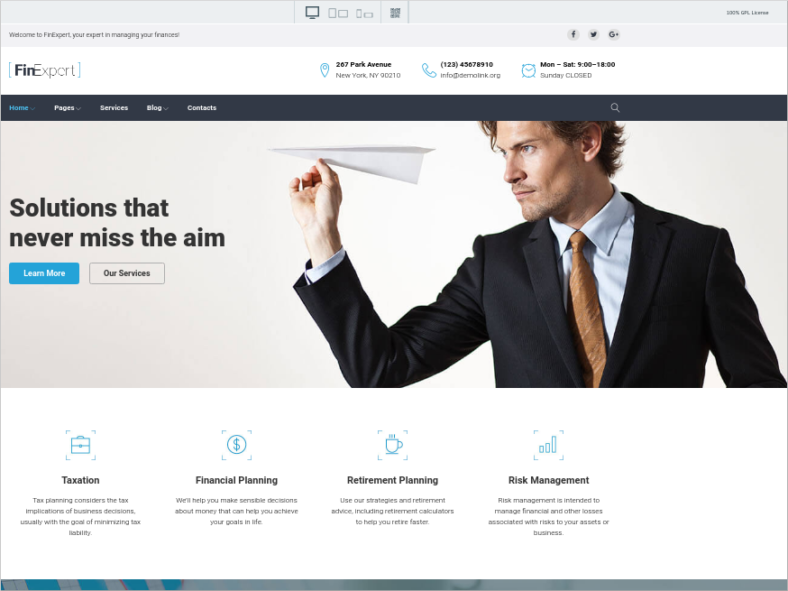 FinExpert is one of the many finance WordPress themes that has been made available to us. Finance is very important for any kind of business and this is exactly the reason why this template has various content modules like pricing tables, bar counters, and Call to Action buttons. Over 500 Google fonts have also been installed to the theme, letting you design the fonts as you see fit. If you are worried about its credibility, the fact that this was designed by top industry leaders should be enough to put you at ease. You certainly wouldn’t want to miss this out. Impreza mainly focuses on making your site look good and attractive to visitors. It has a drag-and-drop visual composer, leaving you with a stress-free customizing experience. You also get to use the Slider Revolution add-on, as it has been included in the theme’s design. With more than 1,300 icons, they definitely will be the least of your worries if you grab this template. You also get to use Parallax Effect backgrounds to your advantage, which can prove to be pretty handy when it comes to capturing their attention. 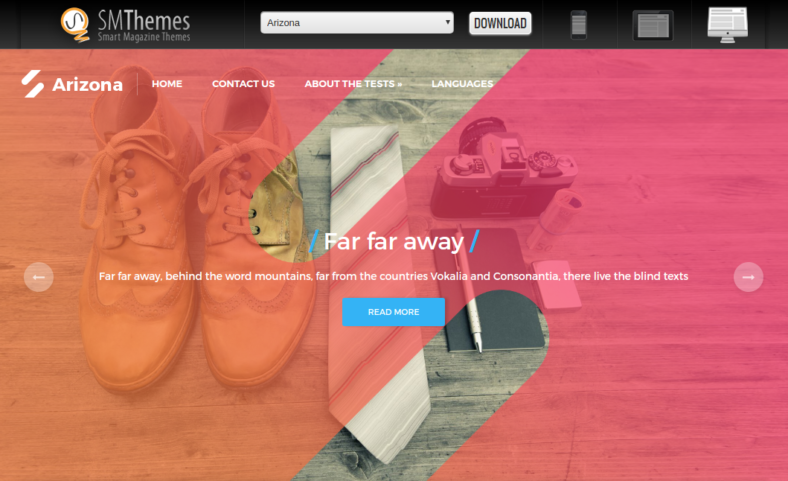 This is definitely one of the most beautiful WordPress themes you can get your hands on. Fleur Noir is an elegant and dark WordPress theme, which can be used for any type of blog. Your blog posts will be properly accommodated, thanks to the theme’s responsive grid layout design. The front page header image can be easily edited and tweaked to your liking. You can customize multiple page layouts as well, giving you a great freedom of editing and personalizing, which is important to help you make the site more authentic and genuine. It has social sharing plugins too, helping you make your site become well known and attract potential visitors even more and increase the number of viewers you have. Medicine is certainly important and there is no question that everyone should be able to get their hands on some, whenever they need one. 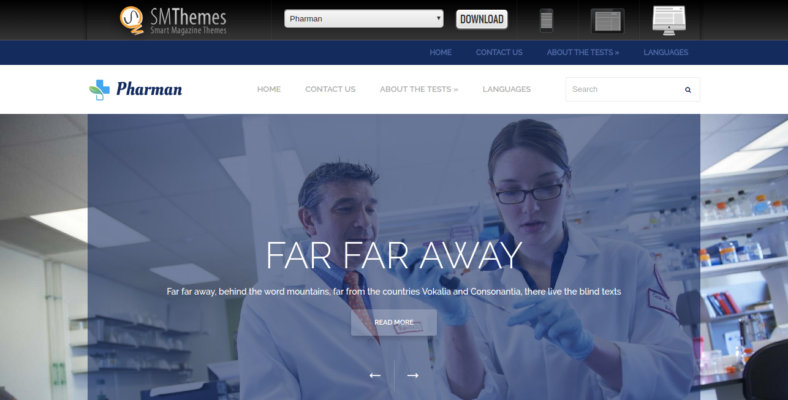 If you want to start a medicine-related site, then the medical WordPress theme Pharman, is definitely the one you should get. The template is WooCommerce supported, which means you can transform it into an online shop anytime. Its sidebars are customized as well and the custom widgets are always on the ready. The shortcodes have been prepped as well, always eager to be put into use, and in case the need arises, the theme has a contacts page as well, which gets you in touch with your viewers and visitors. 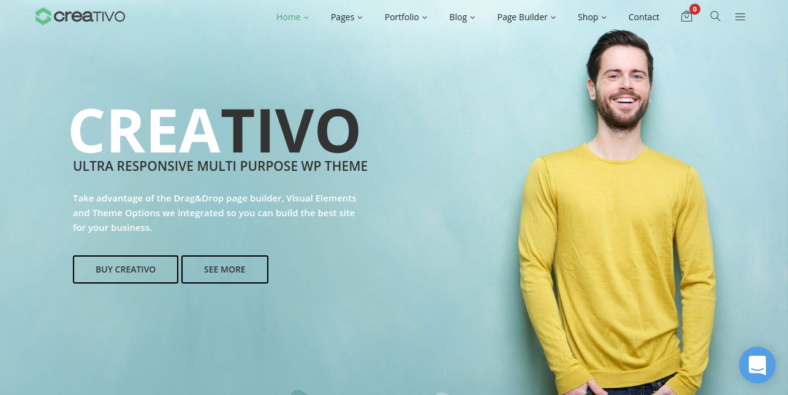 Creativo is a versatile kind of theme, as it can be used for any type of website. It can function as a blogging theme, a sports-related one, and even a restaurant WordPress theme. The template’s features include a drag-and-drop page builder, a staple in almost every theme. A retina-ready and responsive design and a lifetime support that costs absolutely for free. You will be amazed at the amount of Google fonts it has, which is estimated to be over 800. There is also a narrated video tutorial for those who are not so familiar on how to add videos on WordPress. Everyone doesn’t want to feel lonely and that’s why there are a lot of people who are into dating. If you plan on making a dating site and turn it into a profit, then you definitely need the right kind of theme. Dating, by SKT, is just as the name suggests. It is a dating WordPress theme that has features like being able to hold online forums using the bbpress plugin. It also shows the active and online members in the sidebar as widgets. Every member can also view the profile of other members and personal message them too. This theme will definitely help you build a credible dating site. 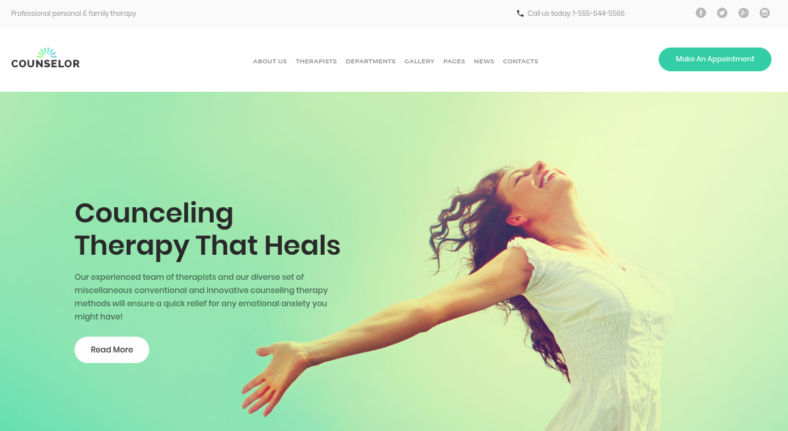 If you are in the counseling and therapy business, then it is imperative that you get yourself an efficient WordPress health template that specializes in the aforementioned fields. Counselor is an amazing example for these types of templates. You would be able to insert customizable widgets on any area of your site and to introduce the services you have thanks to the theme’s Cherry plugin. It has a photo gallery too, allowing you to add numerous images and categorize them. One of the theme’s best feature is definitely its Appointment Manager capability. This saves both yours and the customers’ time while making the experience of setting up an appointment hassle-free. Enfold is a responsive WordPress theme that can adapt to accommodate the needs of any site you plan on making. It is also WooCommerce ready, which means it can be set up as an online shop anytime and is most suited for business. 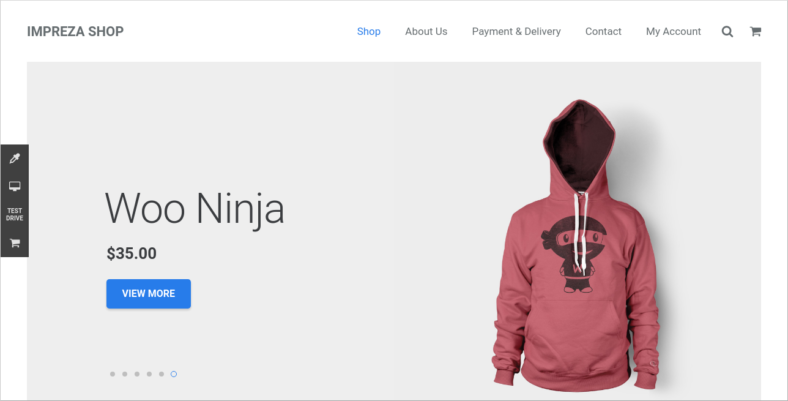 You could say that this template is one of the many business WooCommerce WordPress themes. You don’t have to worry about emails too much because the Mailchimp Newsletter integration that it has will take care of that. There are also more than 20 predefined skins, all of which can be edited, and an unlimited colors option, perfect for personalizing how the theme looks. 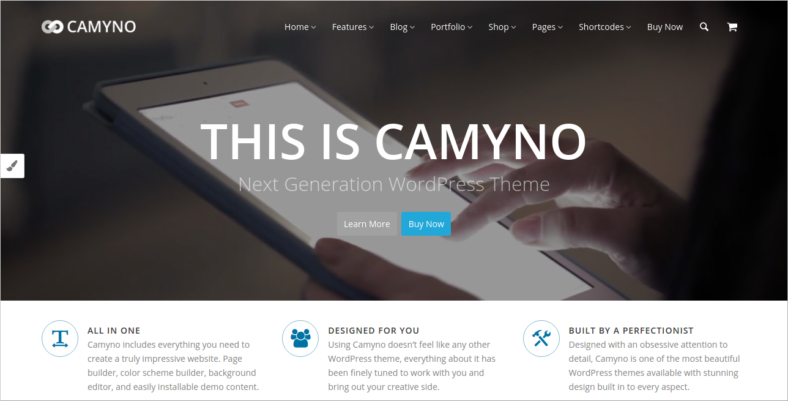 If you happen to be looking for a theme that is eager to please, then Camyno is certainly for you. The template is an amazing creation, having features like a Live Color Scheme Editor, a Visual Page builder, and 2D/3D LayerSlider. You can also access advanced theme options, which proves to be very helpful in situations when something requires more than just a simple tweak. It has automatic updates too, lessening the weight of responsibility on your side and lessening the level of hassle as well. Users, such as yourself, have a dedicated support team on the ready, in case you run into some difficulties using this timeline WordPress theme. 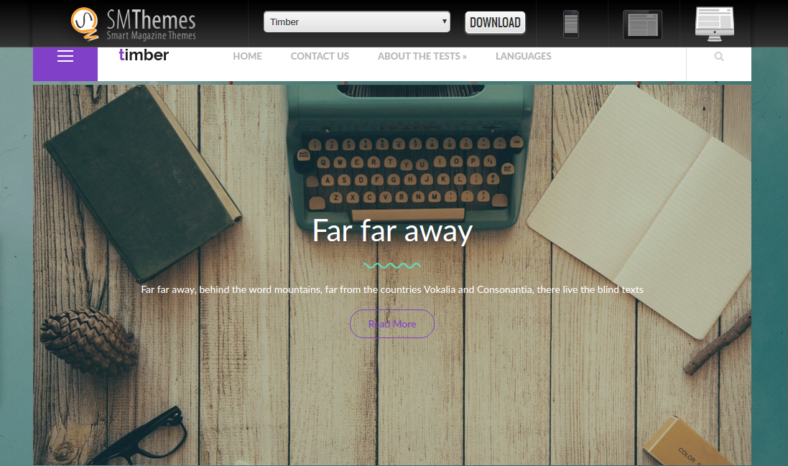 Timber is one of the best WordPress technology themes that has been made available in the market. However, it was mainly designed to aid businesses in making their presence more known in the World Wide Web. This template has a unique interface, which makes it easier for users to create their sites efficiently and creatively. Some would even say that this is the perfect theme to use for a startup site. Some of the features that it has are social share bars, translation options, and custom menus, all of which aims to improve the functionality and performance of your website. 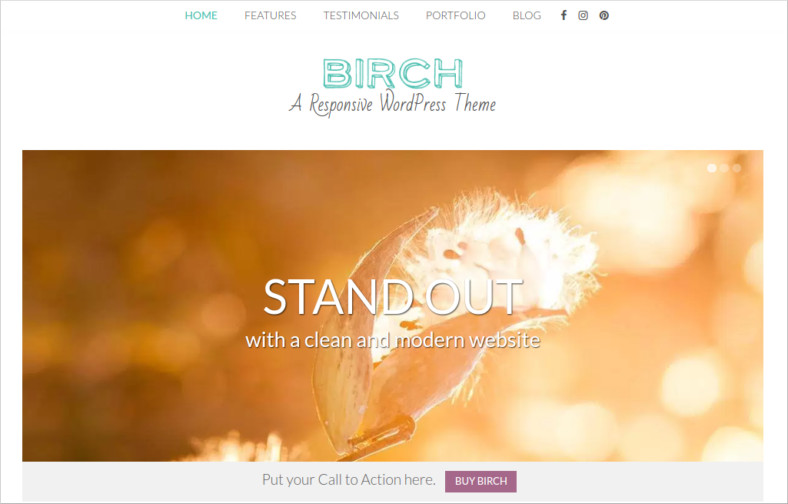 Birch is not your ordinary site because it was made with local businesses in mind. Yes, that’s right, this template is one of the most suitable local business theme for anyone. The template’s theme options panel is very user-friendly and you don’t have to input some program codes to make the theme work. If you’re looking to share the contents of your site, you can definitely do so because the theme has some social icons in the footer, allowing you to share any content at any given time. Some of its shortcodes include slideshows, buttons, and columns, to name a few. SKT Perfect is compatible with any type of language plugins like WPML, qTranslate X, and Polylang. It has more than 100 built-in shortcodes, all of which can be very useful to enhance the functionality of your site. You probably know how frustrating it is when a site takes too much time to load, that’s why this commercial WordPress theme has been designed to optimize both loading time and SEO. 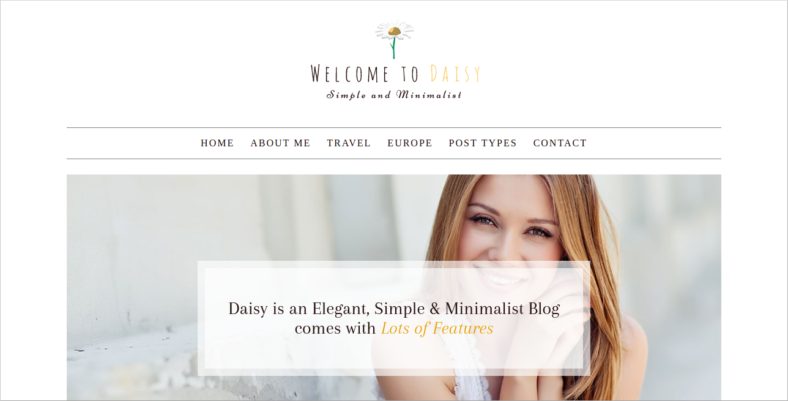 There are various blog layouts available for you to use and is fully responsive to any type of device. 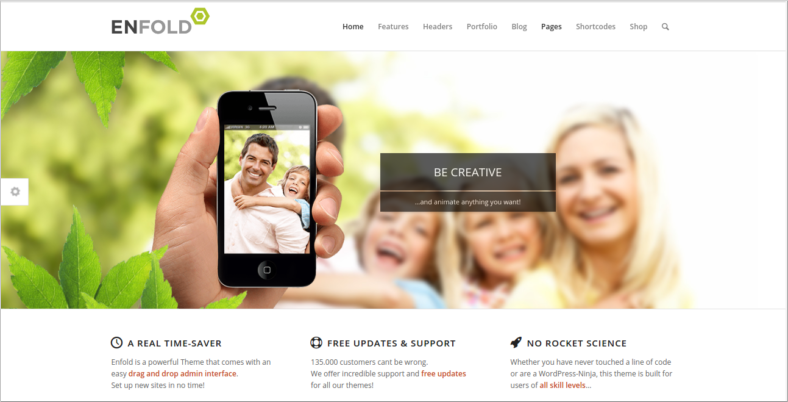 This template has certainly the potential to become one of the best business WordPress theme. Beauty can be found anywhere, one must simply have to look. 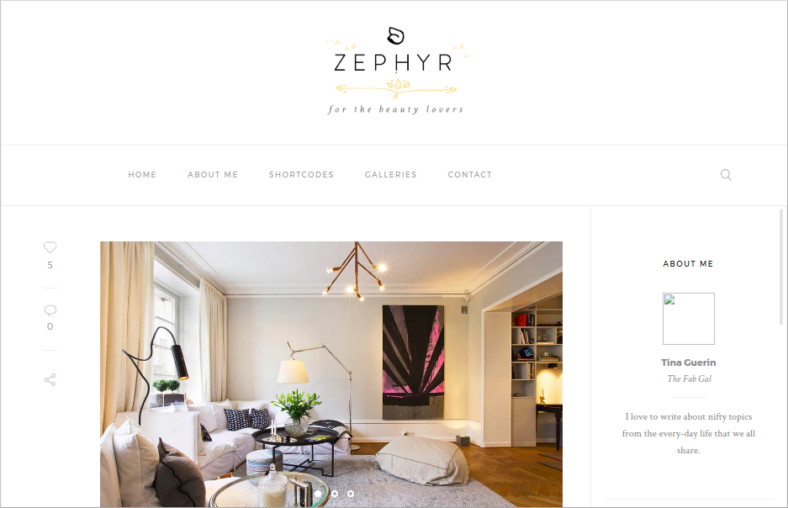 With that being said, the perfect way to showcase the different types of beauty that you have found is by using Zephyr, a beauty blog WordPress template. The theme has a front-end live customizer, which means you can view the changes you have made in real-time, without any hiccups or delays. It has over 100 homepage alternatives, customizable headers, and auxiliary pages like Contact, Galleries, and About Us. The theme is not WooCommerce verified, but it does have Google Ads for the various products that you may have in your blog. Video games have become a staple here in the modern era. Almost everyone knows about it and almost everyone knows how to play some of them. It is the perfect time to take advantage of this opportunity and create your own video gaming website. 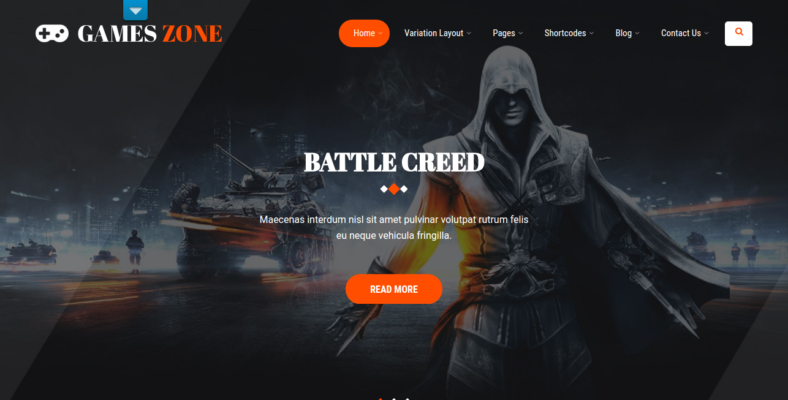 Game Developer is a gaming WordPress theme made by SKT and has features like multilingual friendly plugins, efficient page builders, and ad widgets. You would want your site to be searchable, which makes the fact that this theme is SEO-friendly, a huge advantage on your side. The theme can accommodate high-quality images without slowing down because its loading speed has been optimized. So those were 30 of the best themes that you can use for 2017. Some of them are free new WordPress themes for January 2017, while others are from the later months. You can try some of them out and just directly choose one, but we do recommend that you try some of them out. You could also search the Internet for more themes that were not mentioned on this list. Having your own website is truly an important step to market your business, personal blog, or professional craft. That is why you should always treat the whole process of creating one delicately and with respect, and only settle for the best theme.